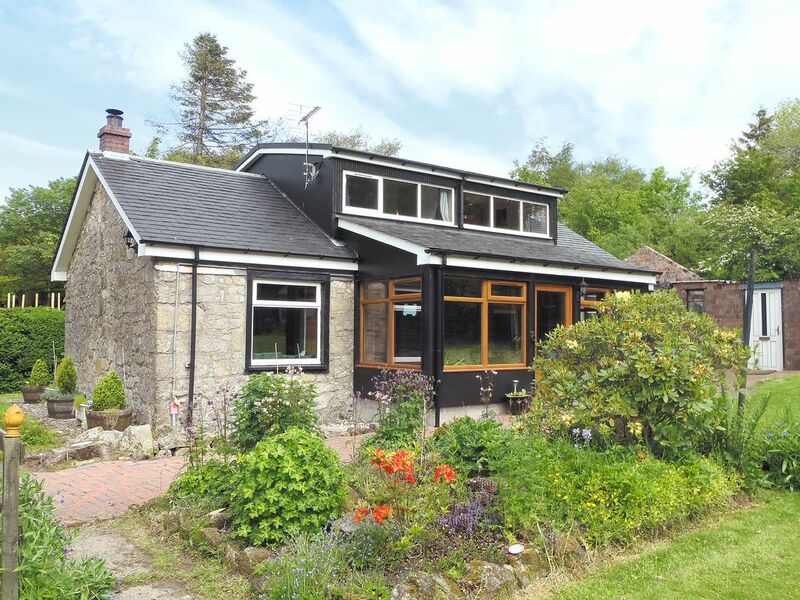 Set in the hills this detached holiday cottage is located within Palacerigg Country Park which has over 700-acres of grassland, moorland, woodland and ponds. Wildlife is abundant, roe deer, badger, fox, hare, sparrowhawk, kestrel, long-eared and short-eared owls can all be seen. Situated within half an hour’s drive to Glasgow and Stirling, whilst Loch Lomond National Park is a 45-minute drive. Woodland walks are available from the door to explore nature trails and places of historic interest, including evidence of fireclay mining at Glencryan. The property is situated on the edge of a golf course and horse riding can also be found just ½ mile away. Shop 3 miles, pub and restaurant 1 mile. Dining room. With open fire. Bedroom 1: With double bed and z-bed (for flexible sleeping arrangements). Bedroom 2: With twin beds and single bed (limited head room). Gas central heating, (£25 per week October-March), electricity, bed linen, towels and Wi-Fi included. Initial fuel for open fires included. Cot and highchair. Doggy extras. Enclosed lawned garden with sitting-out area and garden furniture. Bike store. Private parking for 2 cars. No smoking. Please note: There is a loch in the grounds. Initial fuel for the open fire included, thereafter available locally at cost. There is a Loch in the grounds. Enclosed garden. Up to three dogs only. Central heating charge of £25 per week between October and end of March. One of twin beds is in an alcove with maximum headroom of 5 feet.